Published: Oct. 23, 2013 at 06:34 p.m. Updated: Oct. 24, 2013 at 11:13 a.m.
Jay Ratliff was released by the Dallas Cowboys last week amid injury troubles. However, the free-agent defensive lineman should be ready to return to the field soon after undergoing sports hernia surgery. "Jay met with Dr. Meyers in Philadelphia this morning. Dr. Meyers performed his surgery last December. Jay has been medically cleared to return to all football activities without limitation. Jay has given his OK to Dr. Meyers to speak directly with any club that has an interest in talking to him. "Jay will now continue his individual workouts in Dallas and work hard to regain further strength and improve his conditioning. His goal is to be ready to (work out) for clubs in a couple of weeks. He currently weighs 304 (pounds) and is in very good shape ... just needs to take his workouts up a notch." 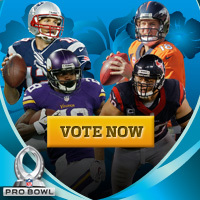 The four-time Pro Bowl selection has yet to play in 2013. He played just six games in 2012 due to injuries, but he started all 16 games for the Cowboys from 2008 to 2011.